The world famous nuns from NUNSENSE are back! This time they've been booked at the Hollywood Bowl--or so they think! But these fun-loving nuns have stars in their eyes and are happy to take their musical revue whereever they can. Join us at the indoor theater for a hilarious evening of song, dance, and games with the audience. Win Prizes! These nuns are a holy hoot you won't want to miss! Produced by Billie Limacher Bicentennial Park and presented in cooperation with Latitude 41. 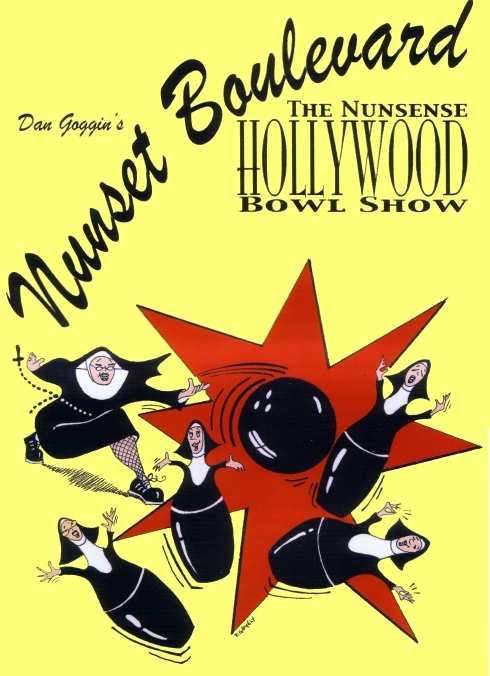 NUNSET BOULEVARD: THE HOLLYWOOD BOWL NUNSENSE SHOW by Dan Goggin is produced with special arrangement with Tams-Witmark Music Library.